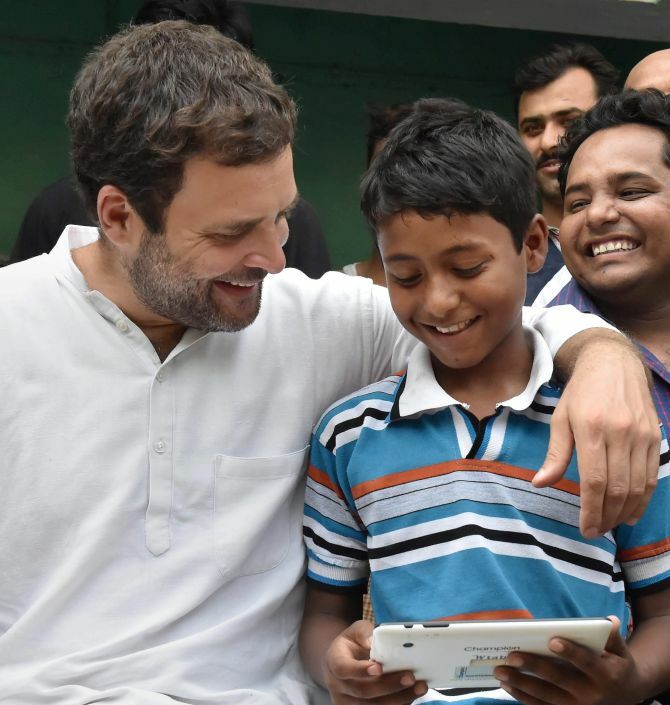 Hitting out at the Modi government, Rahul Gandhi on Wednesday alleged it was trying get back at him by creating hurdles in implementation of development schemes in his constituency and was hurting the interests of farmers and the poor with its actions. As he wrapped up his three-day visit to Amethi, the Congress vice president continued with his aggressive attack on Prime Minister Narendra Modi, saying his “suit-boot ki” government was only for a few industrialists and not for the poor. “Central government Amethi ke saath galat vyavhar kar rahi hai. Meine kaha he aap mujhse badla lena chahte hein to lein, koi problem nahi he. (Central government is treating Amethi badly. If you want to take revenge on me, you do it. I have no problem.) “But the poor and farmers of Amethi have done you no harm. They should be treated well,” Rahul said. “People’s representatives of all parties have complained that the Centre is not cooperating in Pradhan Mantri Gramin Sadak Yojna, Indira Awaas Yojana and other schemes being run here,” he said after attending district vigilance and monitoring committee meeting. During the two-hour-long meeting, Rahul said that a probe should be held into works done under PMGSY in the past five years. “Amethi is being ignored. Be it food park or other developmental schemes in the district. Centre is not cooperating and creating hurdles. I have said this earlier and reiterating it today also. The same happened to food park,” he said. It was decided in the meeting that a letter should be written to the Centre asking it to “stop ignoring” his constituency. Rahul has written to Home Minister Rajnath Singh seeking revival of the mega food park project in his constituency. He also took stock of works done under Mahatma Gandhi National Rural Employment Gurantee Act, irrigation and for setting up of lavatories. Informed about “discrepancies” in enrolment of people in MNREGA, he asked the district administration for a report. Rahul also asked the district officials to hold such meetings regularly. Rahul was asked by reporters about the criticism of Modi’s recent remarks abroad on how people earlier used to think ‘what sin they committed to have been born in India’ and how this has now changed. The Congress leader said a lot has already been said on how people felt about it. “I am a proud Indian and all of us are proud Indians,” he added. The Congress leader said he maintains that this government’s policies were only to benefit a few corporates. “The labourers and farmers build the nation. But the government is not worried about them. They are not worried about poor. Crops were destroyed in hailstorm but the farmers got no compensation, they are not getting the right price for their produce... I have raised all these issues in Parliament and I am reiterating that it is a ‘suit-boot ki’ government which is not for the poor,” he said.